Meets the Needs of Complex Network Infrastructure. Optimized for virtual environments, with native clustering support and storage scan. Provides most relevant critical malware standalone cleaners within the product interface for malware which cannot be removed by the regular cleaner. Easily set up on-demand scans of connected Network Attached Storage (NAS). 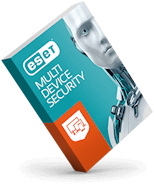 Used with ESET Shared Local Cache, can hugely reduce disk input/output operations. Scans Microsoft Windows® servers with enabled Hyper-V role for malware, without the need to have another instance of an antivirus product in place. For enhanced performance, scans can be carried out on virtual machines while they are turned off. Allows you to define processes which are ignored by the real-time protection module – especially useful for backup or live virtual machine migration. Delivers proven protection while leaving more system resources for essential programs that end users depend on daily. 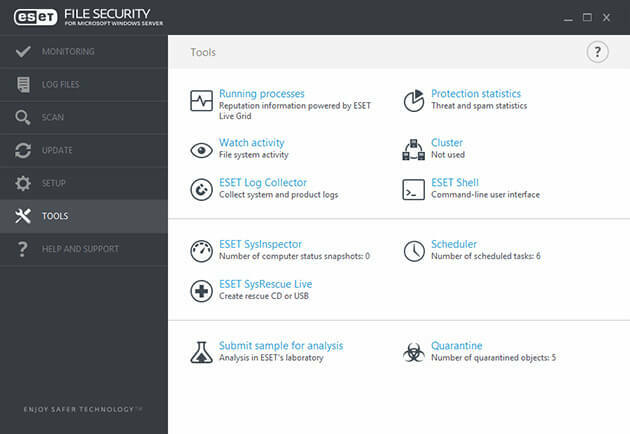 By hiding the GUI completely, the “egui.exe” process does not run at all, resulting in even lower system resource consumption by the ESET solution.